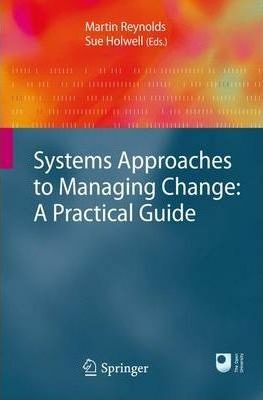 This compilation of readings is a practical guide for practitioners involved with managing complex and uncertain situations. At a time when the media continually tells of a world facing many crises, it provides an opportunity to gain understanding of robust approaches to managing complex and ever-changing situations more effectively. The Reader is used as a teaching resource on the new Open University postgraduate course Thinking strategically: system tools for managing change and it provides an introduction to five systems approaches: System dynamics (SD) developed originally in the late 1950s by Jay Wright Forrester, Viable systems method (VSM) developed originally in the late 1960s by Stafford Beer, Strategic options development and analysis (SODA: with cognitive mapping) developed originally in the 1960s by Colin Eden, Soft systems methodology (SSM) developed originally in the 1970s by Peter Checkland, Critical systems heuristics (CSH) developed originally in the early 1980s by Werner Ulrich.